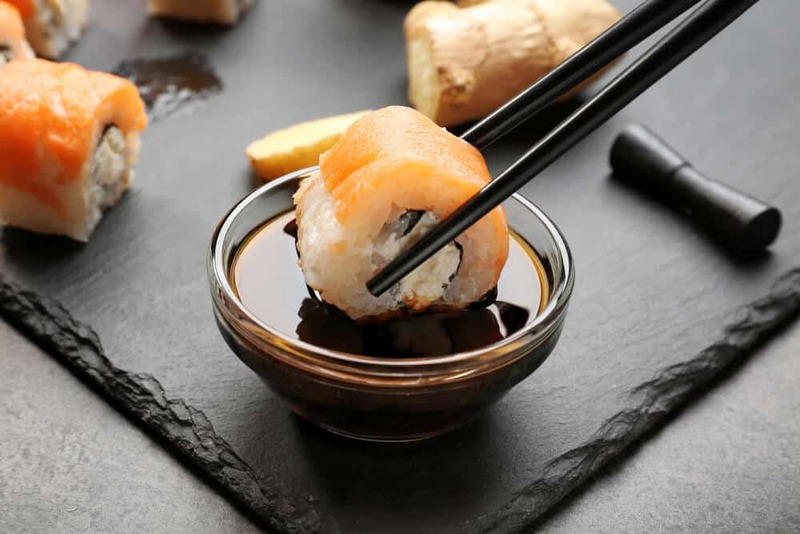 But did you know soy sauce comes in different flavors, colors, and textures? The dark, salty sauce you find on the table in Japanese restaurants is the most commonly used… but it’s only one of several different kinds. 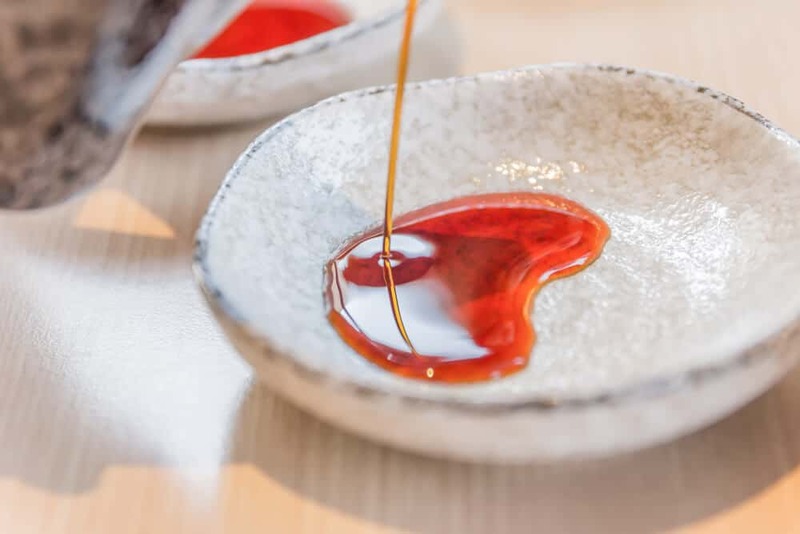 In this complete guide, you’ll learn everything you need to know about Japanese soy sauce… from how it’s made to how it’s used. 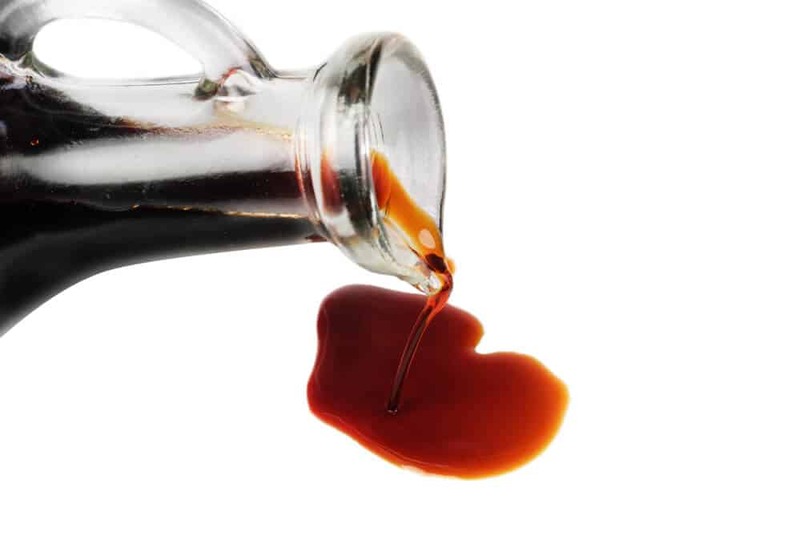 You’ll also learn about the major types of soy sauces on the market today. Hungry to learn more? Let’s dig right in. We’ll begin our culinary adventure in ancient China. How Does Shoyu Get Made? What is Japanese Soy Sauce Used For? 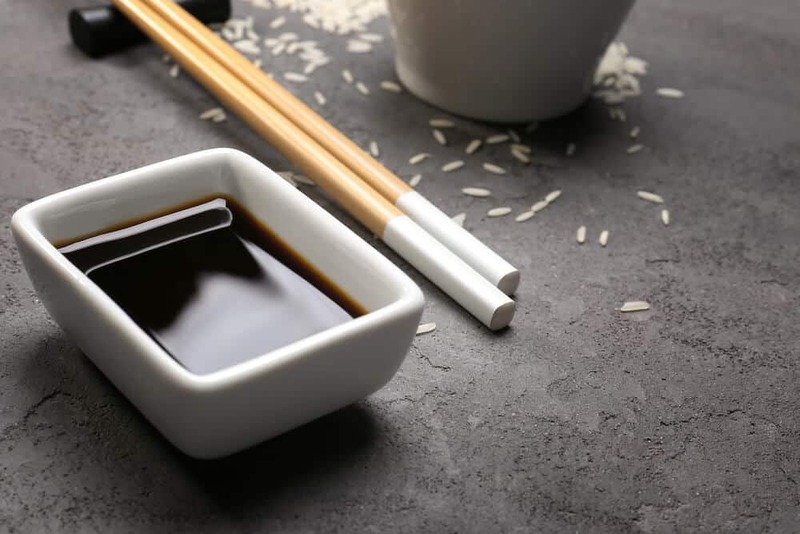 Soy sauce was born in China some 2,500 years ago. The ancient Chinese fermented and salted their food to preserve it. They wasted nothing in the process. They noticed when they fermented pastes they could use the paste as a preservative. The jiang (fermented paste) also added flavor to their food. Salt cost a lot at the time, so using jiang saved money. Jiang was made using fermented meats, seafood, vegetables, and grains. Grains and beans were the easiest foods to get in ancient China. Thus, the development of jiangs made from these two foods progressed at a very fast rate. The spread of Buddhism led to more people following vegetarian diets. The use of soybeans and grains became even more popular. Buddhist monks brought the process of making this soy-based condiment to Japan. This took place sometime around the 7th century. By the end of the 13th century, the Japanese had made improvements to what they named shoyu (醤油). They began adding wheat in equal parts to soybean. They also began fermenting the sauce a good deal longer. The brewing process hasn’t changed much since then. Chinese and Japanese soy sauces have two major differences. The recipes for each type of sauce use different ingredients. They also use different fermentation methods. Japanese soy sauce gets brewed with equal parts roasted wheat and soy. 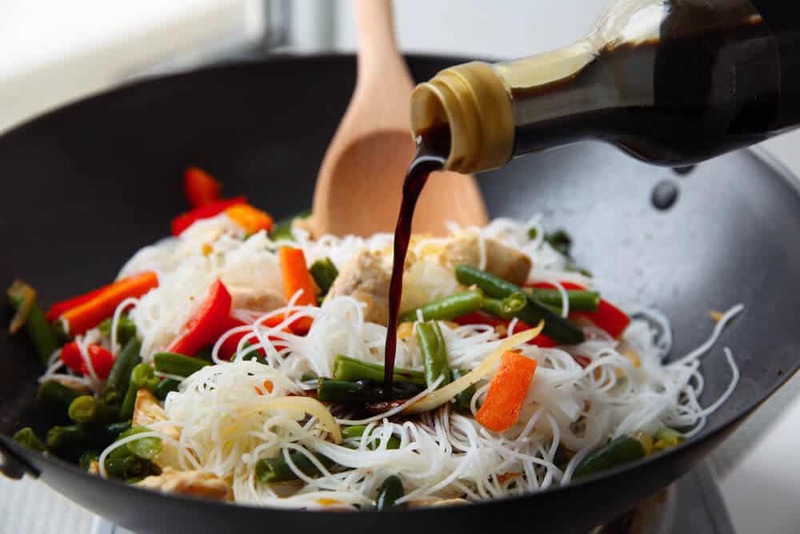 Chinese soy sauce uses mostly soy, with a small amount of other grains like wheat flour. Japanese soy sauce ferments for months to create the flavor and aroma we know and love. Chinese soy sauce barely gets fermented at all. Less fermenting leads to less flavor. To compensate for the lack of flavor, Chinese soy sauce usually contains additives… like sugar and MSG. Japanese soy sauce tastes sweeter. It’s a thinner liquid and has a more full-bodied, natural flavor. Chinese soy sauce is thicker and saltier. It’s used more for coloring food than for adding flavor. Japanese soy sauce adds both color and flavor. Check out this video explaining the different types of Japanese and Chinese soy sauce types. 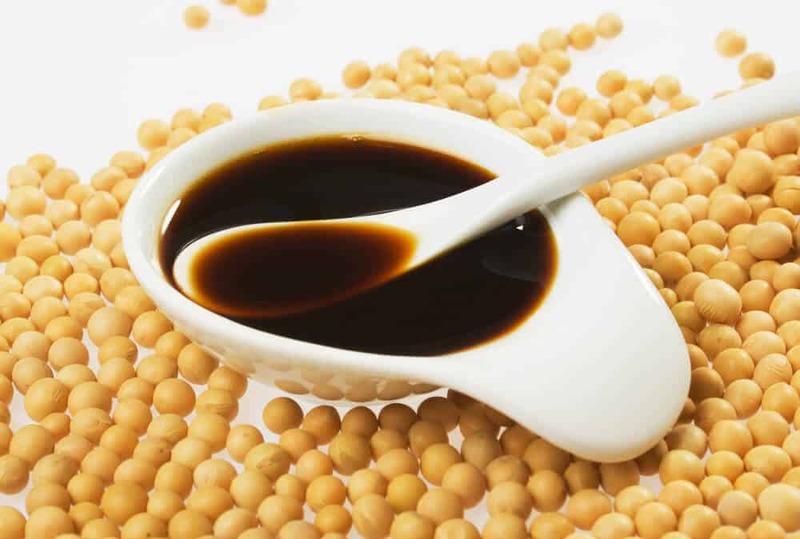 Japanese soy sauce is made with soybeans, wheat, salt, and water. This is true for both methods. Steamed soybeans and roasted wheat get mixed together with koji mold (a type of fungus). The mix gets left alone for four days to create shoyu koji. The shoyu koji gets mixed with water and salt brine. This creates a paste called moromi. Lactic acid bacteria and yeasts get added to promote further fermentation. The moromi ferments for anywhere from a few months to a few years. Like wine, the longer the better (generally, anyway). Once the fermentation finishes, the moromi gets pressed between layers of fabric. This results in a liquid known as raw soy sauce. The raw soy sauce then gets clarified. During this process, oil and sediments are removed. The sauce gets pasteurized to extend the shelf life and to adjust the flavor, color, and aroma. You now have soy sauce. The finished sauce gets bottled and sold. The non-brewed method uses chemicals to break down the soy proteins. No fermentation takes place. This process is much faster – it takes days, rather than months. Traditionally brewed soy sauce is transparent and broth-like. Its chemically produced cousin is usually quite thick. Brewed soy sauce offers a beautiful balance of flavors and aromas. Non-brewed soy sauce tastes harsher. It lacks the deep flavors that come from the months of fermentation. Buy naturally brewed soy sauce. Look for the word “brewed” on the bottle. Avoid the chemically produced sauces – your taste buds will thank you! If you want to buy just one type of sauce, get the best koikuchi you can afford. Koikuchi is the best all-purpose soy sauce. It’s considered the standard for cooking purposes. Try to buy soy sauce with no additives. An all-natural sauce gives you the best and most natural flavor. I recommend the Kikkoman and Yamasa brands. They always give you a top-quality product at a decent price. Refrigerate your bottle once you open it. This keeps the sauce fresher for a longer period of time. Buy a smaller bottle if you don’t plan on using a lot. Japanese soy sauce adds to the flavors of a recipe without overwhelming them. That’s why you find soy sauce in the majority of Japanese dishes. Salad dressings, marinades, sauces, etc. 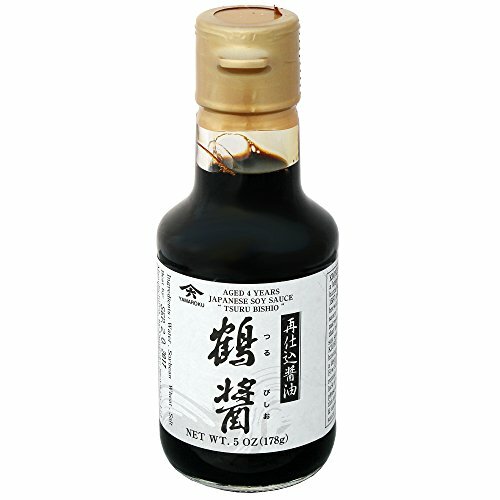 Koikuchi is an all-purpose sauce from the Tokyo/Kanto region of Japan. It’s made with equal parts soy and wheat. This gives the sauce a well-balanced flavor and aroma. Despite the dark, intense color, koikuchi isn’t saltier than usukuchi. In fact, it’s a lot less salty. If a recipe calls for soy sauce without specifying what type, it almost always refers to koikuchi. Koikuchi accounts for 80% of the soy sauce sold in Japan. 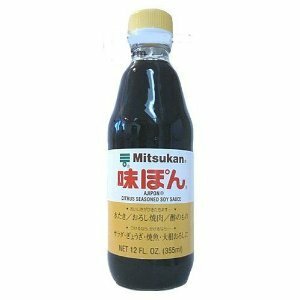 Because of the added mirin (sweet rice wine), usukuchi soy sauce has a sweeter flavor than koikuchi. It’s often rounded out with amazake (sweet sake) or fermented rice (kome koji). Use this sauce instead of koikuchi when you want to preserve your ingredients’ natural color. Otherwise, your meats and veggies will turn darker. Usukuchi soy sauce is light in color… but not in flavor or sodium. It actually contains more salt than koikuchi. You want to use this sauce sparingly. It makes a great “secret ingredient” in your dishes. Usukuchi comes from the Kansai region of Japan. It’s often used in the delicate Kyoto cuisine. Tamari differs from regular soy sauce because of the ingredients and how it’s made. It’s a very dark, thick type of sauce. Koikuchi uses equal parts soy and wheat. Tamari gets brewed with only a small amount of wheat – or even none at all. Because of this unique recipe, tamari has a deeper color. It gives you a thicker consistency and a bolder flavor. Unlike other types of soy sauce, tamari is the liquid byproduct from the process of making miso paste. The name tamari means “puddle.” This refers to the way it pools on top of the miso during the fermentation process. 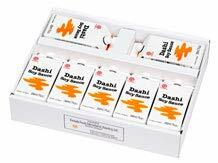 It’s mainly used as a dipping sauce for sushi and sashimi. 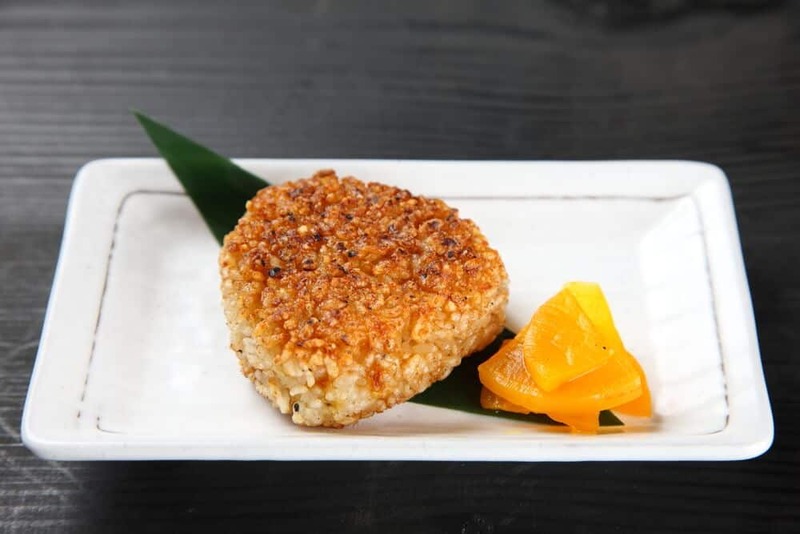 Yaki-onigiri (Grilled rice balls with sauce) – my favorite! Saishikomi shoyu (refermented soy sauce) uses koikuchi soy sauce in place of brine during fermentation. This unusual method gives it a unique taste. It comes from the Yamaguchi prefecture in Japan. 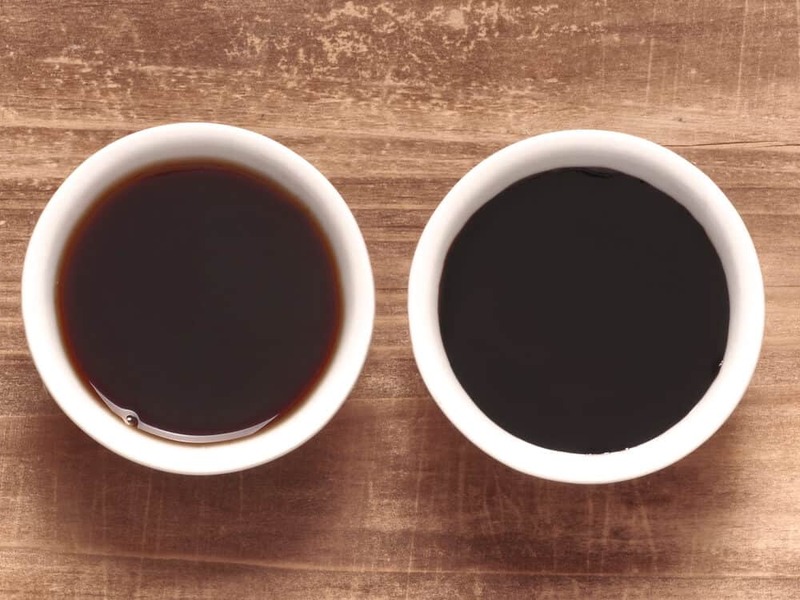 You often hear it called “twice brewed soy sauce.” The double brewing gives the sauce a sweeter, richer flavor with a thick and sticky texture. Despite the double-brewing process, it’s not as salty as koikuchi. This makes it a popular sauce for dipping. Shiro shoyu comes from the Aichi Prefecture, like usukuchi shoyu. And like usukuchi shoyu, it’s used in dishes where ingredients need to maintain their natural color. Unlike usukuchi shoyu, however, it’s light in color. Tamari production uses very little wheat and mostly soy. Shiro shoyu is the opposite. Wheat gets used with very little soy. Because of the wheat, shiro shoyu has a sweetness to it… but with less umami flavor than koikuchi. Dashi shoyu blends dashi (cooking stock made from kelp and dried bonito), soy sauce, and mirin. These three seasonings taste great when combined as one. Dashi shoyu is umami-rich. 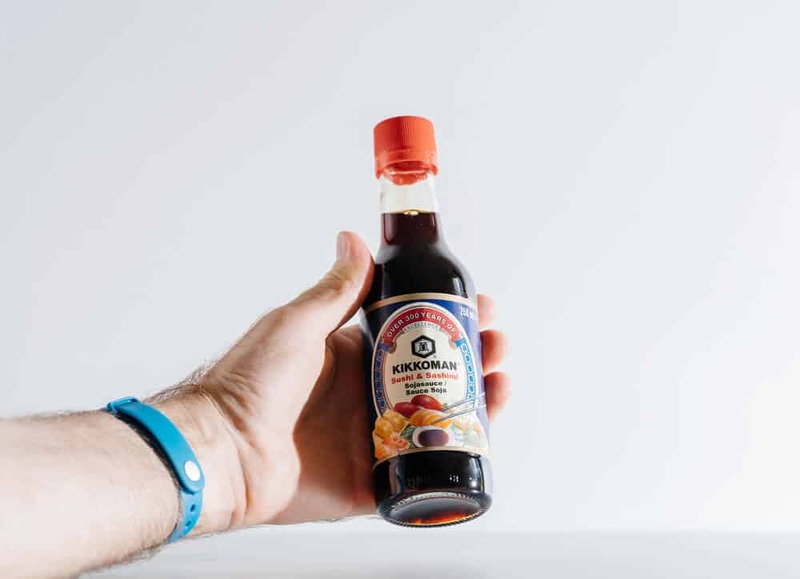 It’s a sweeter version of regular soy sauce. This makes it a versatile ingredient to add to all kinds of Japanese dishes. You can usually use dashi shoyu instead of soy sauce for a milder, less salty taste. Ponzu tastes like a Japanese vinaigrette. It’s a citrusy, tart sauce made out of rice vinegar, citrus juices, soy sauce, mirin, and dashi. In Japan, the citrus juices usually come from one or more of these fruits: yuzu, sudachi, and kabosu. These amazingly fragrant citrus fruits are common in Japanese dishes. The bottled ponzu sold in American stores contains lemon or lime juice. It tastes a bit less subtle than the Japanese version. Ponzu makes a great dipping sauce for shabu shabu (Japanese-style hot pot) or dumplings. It’s also a healthy and flavorful salad dressing and marinade. If you want a good ponzu from Japan, the Ajipon Ponzu Sauce is great. Mentsuyu is a dipping sauce or soup base. It gets used in noodle dishes like soba and udon. It’s made from soy sauce, sake, mirin, kombu (sea kelp), and katsuobushi (dried bonito flakes). Mentsuyu tastes amazing over tofu in a dish called hiyayakko. It also makes a delicious dip for tempura. Mentsuyu usually comes in a concentrated bottle. You want to dilute the concentrate according to the instructions on the label. There are tons of mentsuyu brand in both american and Japan, but a good product for the price is the Kikkoman Hon Tsuyu from Japan. Yakiniku is a type of Japanese BBQ. Meat, vegetables, tofu, and other ingredients get grilled and dipped in a tare. 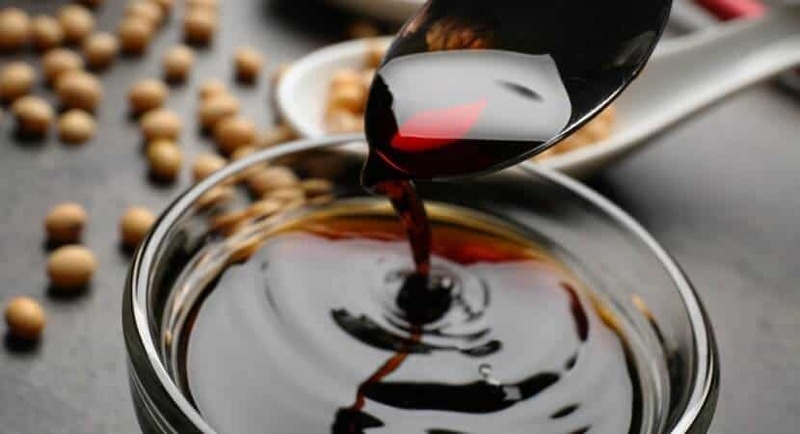 A typical tare contains soy sauce, mirin, sake, sugar, garlic, fruit juice, and sesame seeds. They combine to form a dark, thick, sweet sauce. Tare comes in many different types. They’re all characterized by a sweet taste and a thick, viscous-y consistency. Tare makes a delicious dipping sauce. You can also add tare to stir-fry dishes or use it as a marinade for meats and vegetables. There are also tons of brands to choose from, but for a stronger soy sauce tasting yakiniku tare, the Ebara Yakiniku Sauce is good. Another popular brand from Japan is the Jojoen Yakiniku Sauce. It’s made by a popular yakiniku restaurant chain in Japan. 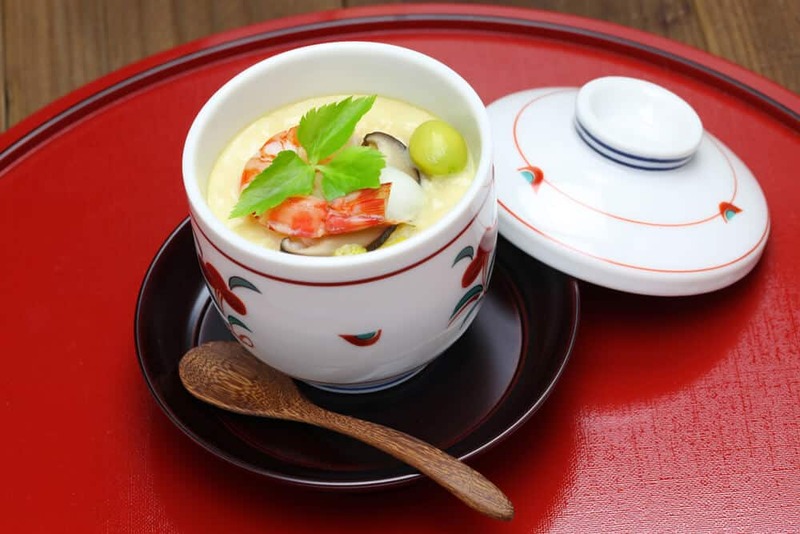 Flip through a Japanese cookbook. It won’t take long to discover most recipes call for shoyu (soy sauce). It’s incredibly prevalent in Japanese cuisine, and you can easily see why. 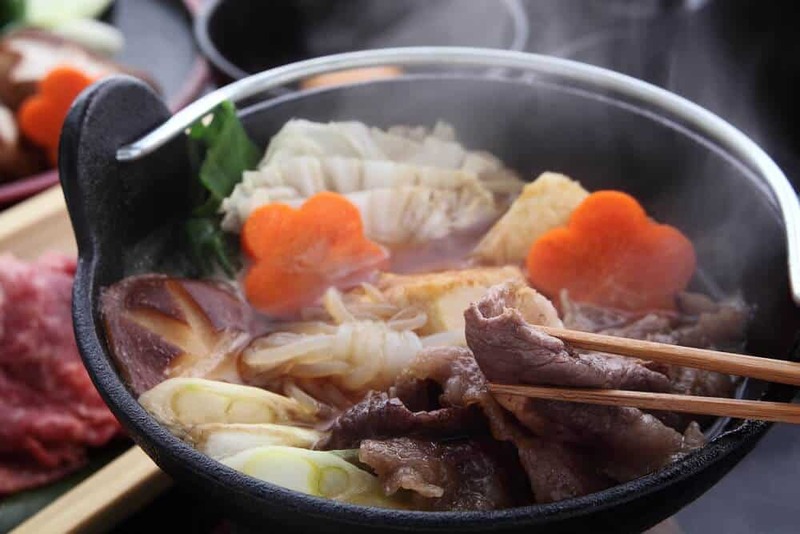 Shoyu enhances the natural flavors of ingredients. It adds an umami-rich taste to any dish. You have so many different sauces to choose from. Each has its own qualities and uses. The world of shoyu is rich and complex, just like the condiment itself. 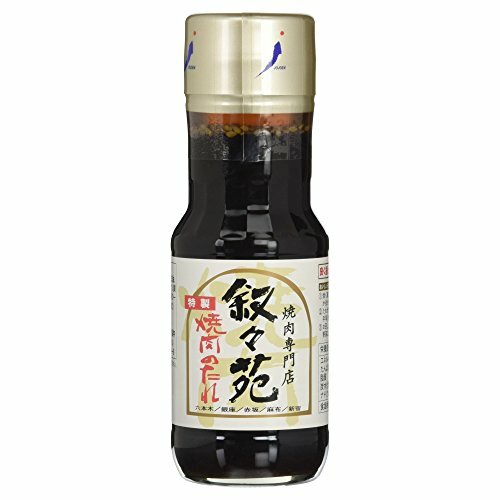 What Japanese Soy Sauces Have You Tried? And what dishes did you try them on? Which sauce do you like the most? Let us know in the comments. Also, let us know if anything in the article whet your appetite. Is there a sauce you haven’t tried yet, but would like to? What dish do you want to try it on? Let us know. 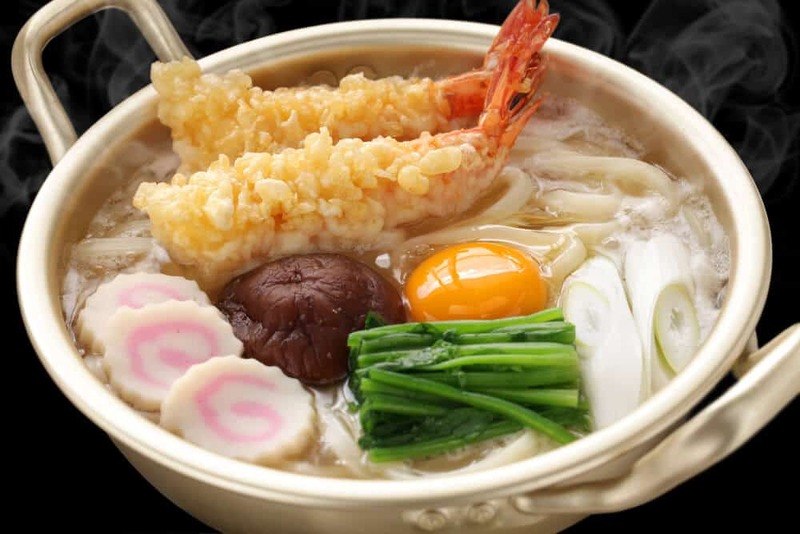 Finally, don’t forget to share this article with your friends who like Japanese food. They’ll thank you once they try some of these sauces!